Increasing immigrants’ political participation could advance their interests and facilitate their integration into receiving countries. Researchers evaluated the impact of a non-targeted get-out-the-vote campaign on voter turnout in France. The campaign increased voter turnout among immigrants by 3.1 percentage points across two voting rounds and had no effect on non-immigrants. Voter turnout was similar between immigrants and non-immigrants who did not receive a canvassing visit. However, the impact on immigrants did not persist in the local elections the following year. Traditional approaches to facilitate immigrant integration generally include civic integration, anti-discrimination laws, and labor market and housing policies. Increasing immigrants' political participation may be a valuable complement to these approaches as enhanced participation could increase the influence of immigrant preferences on policy choices. However, low integration or tensions with non-immigrant communities may make political mobilization of immigrants difficult. A few studies have found large effects of get-out-the-vote campaigns that target immigrants, however, few evaluations of generic get-out-the-vote campaigns compare effects across immigrant and non-immigrant groups. This intervention took place leading up to the 2010 regional elections in Ile-de-France, the region that includes Paris and surrounding areas. Turnout at the 2010 elections was relatively low: only 46 percent and 51 percent of the registered citizens participated in the first and second rounds, which took place one week apart, respectively. Ethnic diversity in the Ile-de-France cities that were a part of the study is wide: immigrants, defined as people of foreign birth and French-born children living with them, contribute to a larger share of the population than in the country as a whole and come from over 100 different countries. Within the study, 30 percent of the sample were immigrants (compared to 12 percent in the overall French population in 20122), with most coming from Northwest Africa, Sub-Saharan Africa, or Asia. These neighborhoods are marked by increased internal tensions, particularly between youth and the police. Researchers conducted a randomized evaluation to test the impact of a general voter outreach effort on the political participation of immigrants relative to participation of non-immigrants. 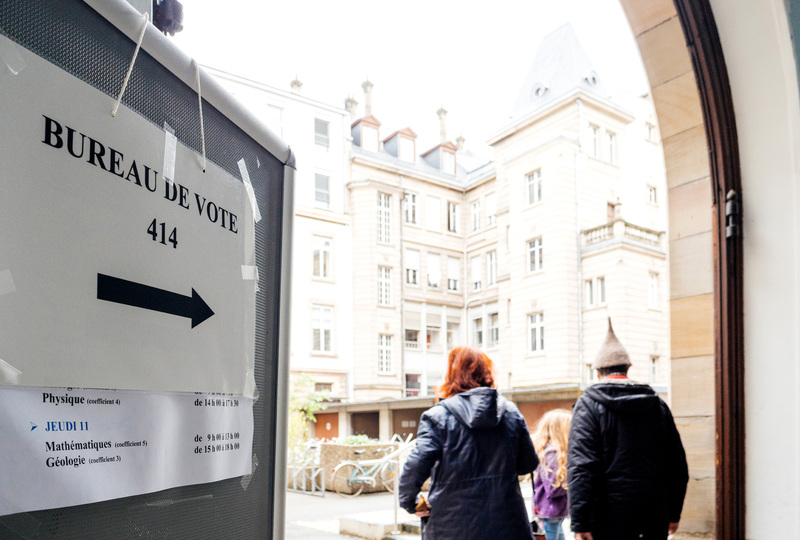 In the four weeks leading to the 2010 elections, activists from the Parti Socialiste (PS), a left-wing political party perceived as more sensitive to immigrants’ concerns , canvassed eight cities of the Ile-de-France region to encourage registered citizens to vote. Citizens were randomly assigned by building address to treatment or comparison. Six hundred and seventy-eight addresses received a visit from canvassers while 669 addresses did not receive a visit. Canvassers knocked on doors on evenings and Saturdays and provided basic information about the date of the election and the location and opening times of the poll office. They urged people to vote, using general arguments about the importance of voting and significance of the forthcoming elections as well as personal examples and stories. At the end of the discussion, the canvassers gave their listener a leaflet summarizing the points discussed. To measure voting behavior, researchers utilized attendance sheets signed by those who voted in each election. In addition, researchers administered a post-election survey to a subsample over the phone within two months to measure citizens’ socioeconomic status, how much they knew about the elections, and their political preferences. The canvassing treatment increased voter turnout of immigrants without affecting turnout of non-immigrants. In the comparison group, turnout was roughly equal between immigrants and non-immigrants. Short-term effects: About half of households canvassed answered the door. Canvassers’ visits increased the turnout of immigrants and children of voting age living with them by 3.4 percentage points from a base of 34.4 percent (a 9.9 percent increase ) in the first round of voting. In the second round of voting, the increase among immigrants and their children was 2.8 percentage points from a base of 38.7 percent (a 7.2 percent increase). Results were similar when allowing for treatment effects to differ by other characteristics including gender, age, housing price, and distance to the polls. The campaign had no impact on the voter turnout of non-immigrants. Medium-term effects: Effects of canvassing on voter turnout diminished over time. Researchers compared voter turnout in local elections one year later and found no significant impact of the canvassing from the previous year. Potential mechanisms to explain the impact of canvassing on voter turnout: Survey results of a subset of the sample indicate that immigrants had significantly less political information than non-immigrants, which may have led to a stronger impact of the information provided by the canvassers. In addition, immigrants may have been more receptive to the PS canvassers since the PS is considered more sensitive to immigrants’ interests than are right-wing parties. Pons, Vincent and Guillaume Liegey. “Increasing the Electoral Participation of Immigrants: Experimental Evidence from France.” The Economic Journal (Royal Economic Society), forthcoming. 1Simon, Patrick. 2012. “French National Identity and Integration: Who Belongs to the National Community?” Migration Policy Institute. 2OECD. 2012. “Indicators of Integration 2012: Key indicators by country: France.” Organisation for Economic Cooperation and Development. Accessed April 14, 2017. https://www.oecd.org/migration/integration-indicators-2012/keyindicatorsbycountry/name,219043,en.htm.